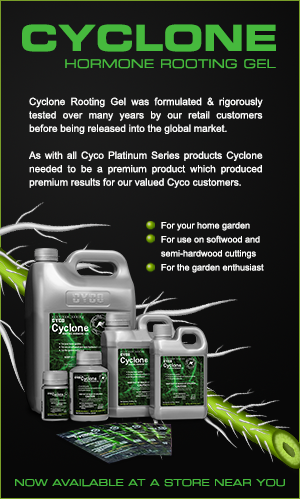 Cyco Platinum Series XL is the premiere product of the Cyco Platinum Series line of plant nutrients. 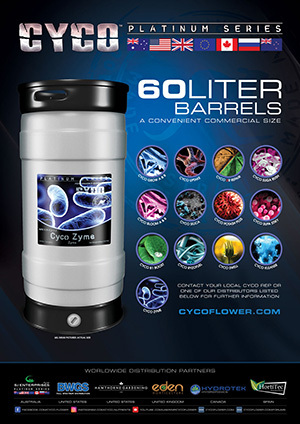 Used only for one week in the vegetative stage of growth, Cyco XL greatly encourages new root, stem, and leaf formation. Cyco XL consists of super phosphoric acid which is produced from dissolving pharmaceutical grade phosphates in sulfuric acid. The resultant product is an ultra-purified and extremely available form of phosphate. When fed to a plant, the latent acid cleans the surface of the roots simultaneously infusing the surface with a large shot of phosphorus resulting in explosive root, foliage, and stem formation. Cyco XL also through its application encourages the uptake of iron, nitrogen, and potassium to support the short, intense burst of growth as a resultant of Cyco XL application.